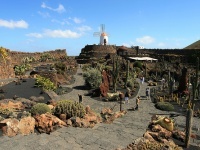 Lanzarote's chief attractions are its resort towns, which offer crystalline waters and fine beaches, plus some of the most reliably balmy weather in the world. 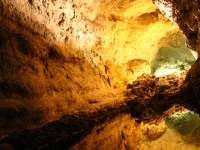 Although the flattest of the Canary Islands, Lanzarote is also of volcanic origin and so has a dramatic landscape, punctuated with many caves and lagoons. Those travelling with kids in Lanzerote should visit the Aquapark on the outskirts of Costa Teguise for fun water slides and rides, or enjoy the Submarine Safari near Puerto Calero which takes passengers on an underwater expedition for an hour, allowing everybody to observe the wonderful marine life. Closer to Arrecife there is a fun go-karting facility with really good tracks and cars for kids and adults to race around in. Guinate Tropical Park, at the northern tip of the island near the village of Maguez, has incredible bird life and water features, and Rancho Texas, a wild west theme park doubling up as an excellent zoo, near Puerto del Carmen, is one of the most exciting kids' attractions on the island. 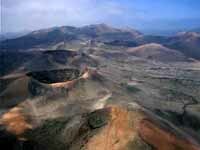 Lanzarote is small and easy to navigate; most of the major resorts and attractions are within ten miles (16km) of each other. Efficient bus services (known as guagua) travel around and between the main resorts and operate until quite late. Taxis are also easily available and fairly good value. Those going off the beaten track may wish to hire a car for a day or two; car rental companies have offices in all the main resorts.